We’ve covered the Cirque du Soleil theme park since it was first announced here at Theme Park University. 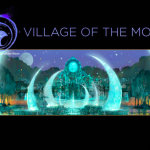 The new groundbreaking extravaganza will be open in 2018, but slowly artwork continues to leak out. This place is jaw dropping. 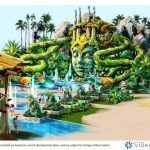 The water park will open with the first phase of the Cirque du Soleil theme park. Ask TPU: Will the Cirque du Soleil Theme Park Ever Be Built?